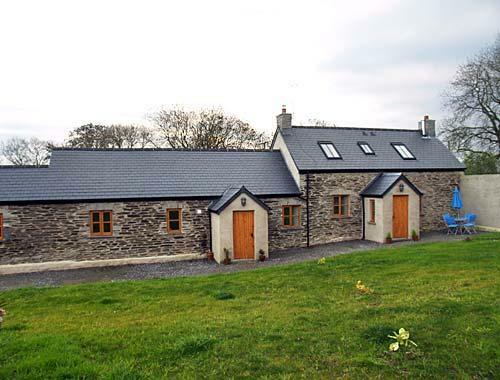 Anfodd Holidays on the edge of Blaenwaun village in the heart of South West Wales. 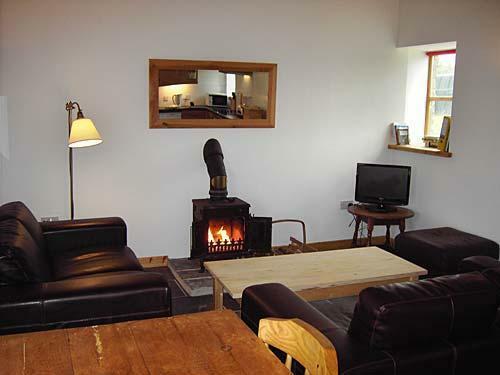 The cottage have been renovated to a very high standard, have under floor-heating and wood burning stoves. 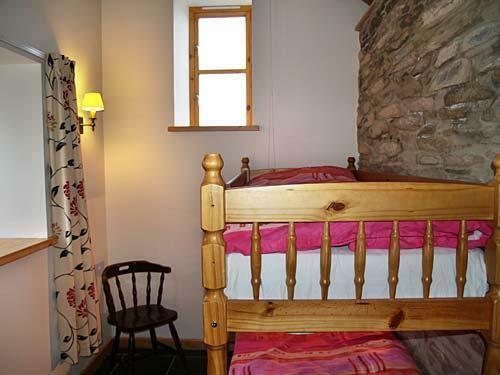 Y Bwthyn (the cottage) is a converted barn with the original A frame vaulted ceiling and two bedrooms. 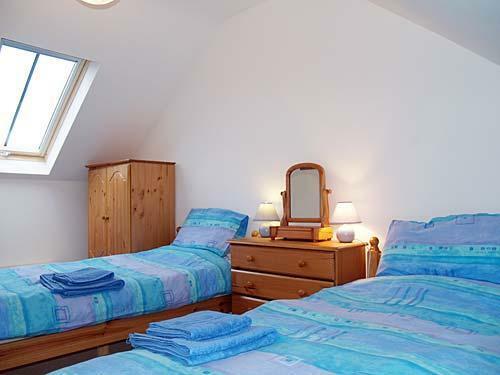 The double bedroom has bedside cabinets, wardrobe and dressing table. If you have children they will enjoy the bunk beds in the old pig sty with a wardrobe/chest of drawers. There is a large open plan kitchen, dining and living room. 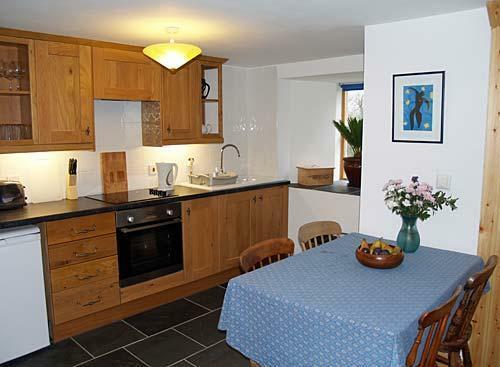 The kitchen has a range of oak units, oven, hob, grill, fridge, washer/ dryer and large pine table and chairs. The living area has two comfortable leather sofas and television with Freeview, DVD, CD and radio along with a range of books and games. 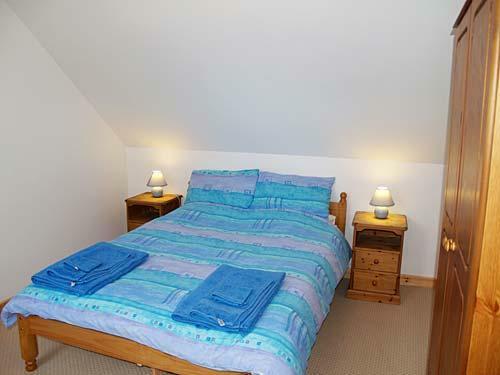 The wet room has a shower, toilet, sink and heated towel rail. We also have a Camping and Caravan Club Site. This is separate from the cottages. 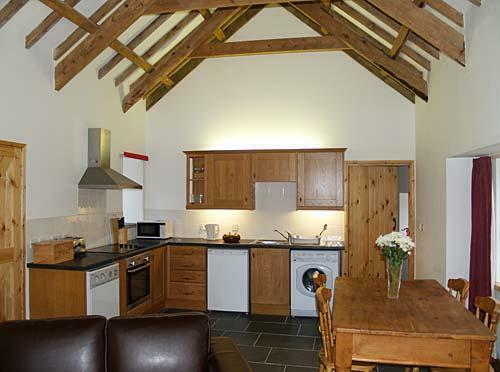 You can mix and match between the cottages and camping. Camping costs £12 per night per pitch plus £3 for an electrical hook-up. Showers are free. 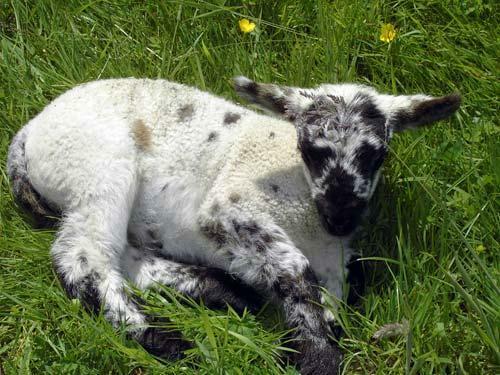 Anfodd holidays is on a smallholding with ponies, chickens, ducks, rabbits and organically produced fruit and vegetables. So you can enjoy free range eggs and fresh vegetables. You can also order your basic groceries in advance and we will take delivery for you. Situated on the borders of Carmarthenshire, Pembrokeshire and Ceredigion means it is an ideal base to explore the whole of South West Wales. 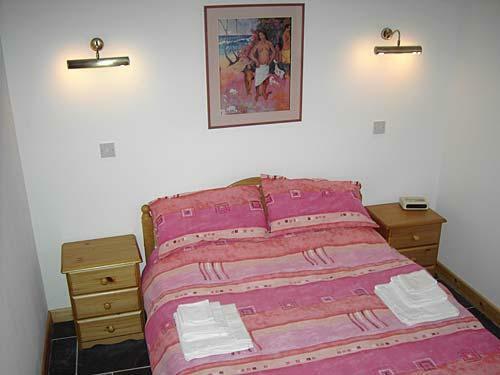 There are numerous beaches within about a half hour drive and many attractions including Oakwood, Heatherton, Laugharne Castle, Dylan Thomas's Boathouse and the National Botanical Gardens. 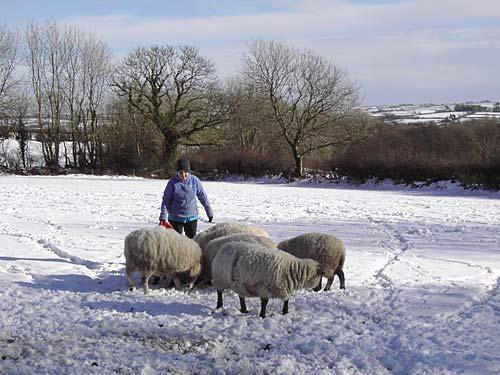 Walkers and Cyclists can enjoy the Preseli Hills as well as the coastal path. 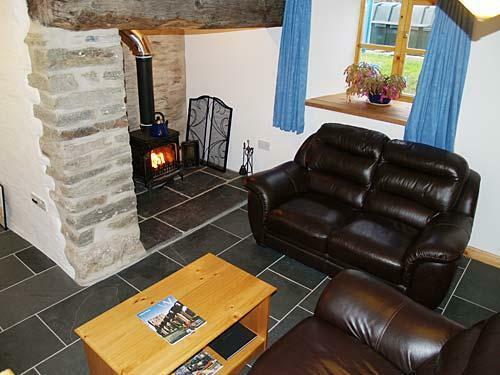 You will find useful information and maps in the cottages to help you plan your trips. Both cottages have a porch with space for boots and coats. St Clears, Whitland and Crymych are all within 8 miles and offer a range of individual shops. The local pub is just a five minute walk away.